This entry was posted in Facts and tagged Baltic Sea, bladderwrack, Fucus, Fucus radicans, Fucus serratus, Fucus vesiculosus, narrow wrack, salinity, seaweed, serrated wrack, wrack. Bookmark the permalink. I am doing a research on osmotic power and I would like to ask you where can I get georeferenced of salinity of the Baltic and the North Sea? 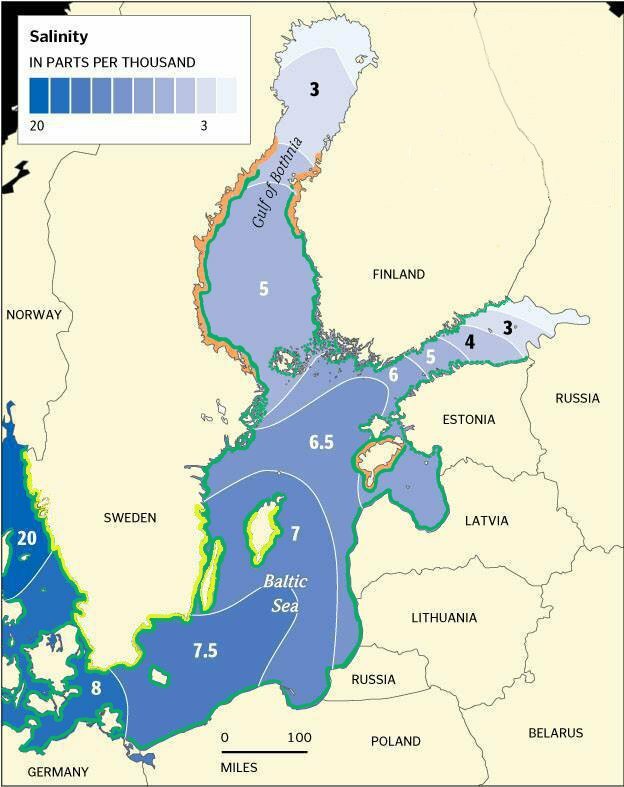 For georeferenced data on the Baltic Sea, I recommend that you look at the HELCOM reports. They are all found and available at their website. I also find the map in Feistel et al. 2010 very helpful, although it is quite a large grid. I too am looking for salinity data for both the Baltic and North Sea. Is your map bottom or surface salinity? At the HELCOM website, I could only find bottom salinity data. The map is a V-E-R-Y generalized surface salinity. For much better resolution, check out Feistel et al. 2010. If you know (or know someone who does know) Swedish, there is a lot of such data available from http://www.smhi.se the Swedish weather site, and also on the collective site for all things marine/brackish http://www.havet.nu. Also, try some of the HELCOm publications, I seem to remember a map of the halocline stratifiaction somewhere…. Sorry to not be of much help.